and the wording on the arch is Hebrew for, “Motivational Worshiper”. YouCan… It’s Hard To Get Hit If You Are A Moving Target! Anyway, many times this game is played in the park. As I was watching the kids, they would run in back of each other’s houses or even their neighbors’ homes, hiding behind cars or trees, running up and down the street, even hiding behind a relative as they got out of the car or came out of the house. Every now and then the one who had the ball got one of the players, who then had to sit on the sideline and “watch the game.” There was even a point in that game, because of so much running they would call a “time out” and everyone would get a chance to rest, get something to drink, or whatever. traps our enemies set for us? bring value to you, the reader. hard to hit a moving target. journey toward prophesies while still in elementary school. graduating Seton Hall University in the early 1990s, Tabitha rededicated her life to Christ and became aware of the power of healing through words. Check Your Keys, which Vinson described as her introduction into the literary realm, received accolades from some of the toughest critics in the church – pastors. THE DOCTOR IS IN ... In the early 2000s, Tabitha found more ways to spread the gospel to a large audience. Her experience in broadcasting eventually took her to Fort Wayne, IN. where she used her industry skill set in public access television, volunteering as a director and audio technician. She was the co-executive producer of Higher Ground, a ministry platform founded by husband and wife team Elders Charlie and Cherry Shivers designed, for pastors to share the good news. As a guest speaker on Full Force Apostolic and The Ministries of Jesus Christ, Tabitha would continue to bless the broadcasting world with inspiration through the Word. als who are highly blessed in their fields of expertise, along with well-known authors and speakers. Tabitha continues to receive accolades for her service in Christ. This includes degrees, honors, and mentions in various publications. LEGAL SUPPORT EXTRAORDINAIRE ... Through a relentless can-do attitude, Tabitha founded Vinson Paralegal in 2011. Vinson Paralegal is a virtual firm with a team that boasts more than seventeen years of experience in corporate and non-profit law. From researching, to writing, to providing various administrative duties, Vinson Paralegal delivers the ultimate legal support to small and mid-sized law firms statewide. Tabitha has quickly emerged as a legal professional with a keen grasp of businesses solutions to combat disputes, contractual discrepancies, and organizational compliance. Real…Talk, Talk,Talk. Real…Talk, Talk,Talk. Real…Talk, Talk,Talk. Tabitha the Paralegal: “Tabitha is an out-of-the-box thinker while at the same time demonstrates the ability to tailor projects to the vision and needs of her clients. 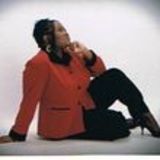 Her mark enthusiasm in her work is contagious and inspires others to excel.” Dr. Harvey, CEO Greater Works Deliverance Ministries, Inc.
nulla rutrum nisl neque, this reading to porta. be of a Nunc great awareness. be able tovel easily seeDonec how the things that erat erat ante. suscipit. 1.	Who is Tabitha Vinson? 2. Youâ&#x20AC;&#x2122;re called in many Christian circles a Motivational Worshiper. How did that come about and what is the meaning behind it? 3. If you could have dinner with one person, dead or alive, who would it be and why? 4. In your writings, you seek to encourage and inspire others. What life circumstances has God used to inspire your writing and your writing style? 5. Tell us about your journey to publication. 6. 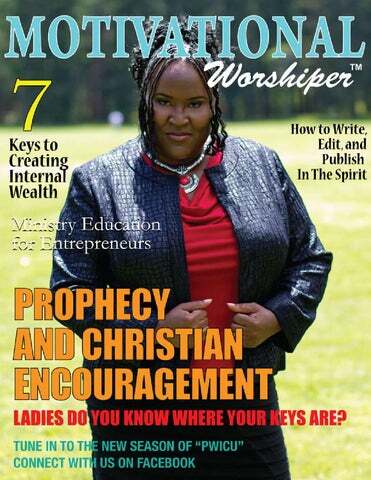 Being a Prophetess, how has your book been woven in your ministry? 7. Can you share with us some of your accomplishments? 8. How do you find time to do everything? 9. Is there anything that you would like to say to your readers and fans? 10. Can you tell us about your challenges in getting your first book published? The purpose is to get to know who YOU are? Answers can be submitted via email on our site or via fax to 413.639.9794 1)	Tell Us About Yourself! 2)	Who do you admire the most? 3)	Do you own a non-profit or wish to? 4)	What would your non-profit do five years from now? 5)	Share a milestone from your Christian journey 6)	What has been some of your greatest accomplishments? 7)	If you could write a book, what would it be about? 8)	Are you published? 9)	Who is your favorite author? 10)	Would you consider yourself a leader?